The self-service mailing machine was out of order – again. The queue went all around the building, out of the door and a good way up the main street. Once again, I cursed the government that had seen fit to close my lovely, one-man, local Post Office. and forced me to go to the big Post Office in town. It was lucky I had been to the library first, that I had the option of losing myself in a wonderful book as I waited. From The Strange Fate of Kitty Easton by Elizabeth Speller. « Why do People Keep Having Such Wonderful Ideas?! This sounds enchanting! I love her writing style in that quotation. I must track down the first book. Thank you for letting me know about it. I sympathise with your queue waiting – urgh – my post office is equally slow despite there being three people there to ‘serve’ – usually only one is ever bothering to call customers over. At least you had a lovely book to help you pass the time. I do think you’d like these Christina. The staff in my PO are pretty good, but they are overwhelmed in a town that had four branches but now has just two. You have summed up my feelings exactly!! I have my copy from the library too. From the extract you quoted it’s looking good! Can’t wait! It does look good, I have to finish a couple of other books due back soon, but I shall be getting back to this one as soon as I can. I haven’t got a copy of this book yet but I’m looking forward to reading it eventually. I loved The Return of Captain John Emmett so it will be nice to meet Laurence Bartram again. I wasn’t necessarily expecting a sequel, but now it’s here it looks very good. I have yet to read The Return of Captain John Emmett but it is in the building! Looking forward to reading it if there is another one afterwards! I think you’ll like it. It’s very well written, and there’s lots to think about. I don’t do post offices any more, they are horrendous places … I do as much as I can without having ever to go there, buying stamps at my local shop, doing much of my bill paying online, buying presents online, but the worst part is when, having been indoors for the better part of several days, you pop out to get milk and return to find some Postie has attempted to deliver a packet that he can’t get through the letter box and you then have to wait 24 hours and then, as if to add insult to injury, you have to go to the collecting office for it. Bah Humbug! 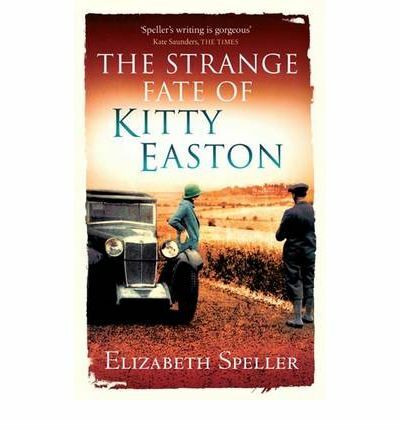 I’m very pleased you write positively about Kitty Easton, particularly as I loved both the other books you mention.